Please note we are currently building to order and your device will take a few days to ship. Thank you for understanding! These are our standard graphics we are currently doing. Graphics picked by us and produced multiple times. We also offer custom graphics selected by you for a additional fee. Please Contact Us at sales@varitube.com or FB PM to submit images and we'll tell you if it can be done. Our newest Renegade device is here. A single 18650 75W Squonker, capable of Temp Control or Power. The 3D Printed resin body is durable with an ABS quality. Feels very solid and feels great in the hand. 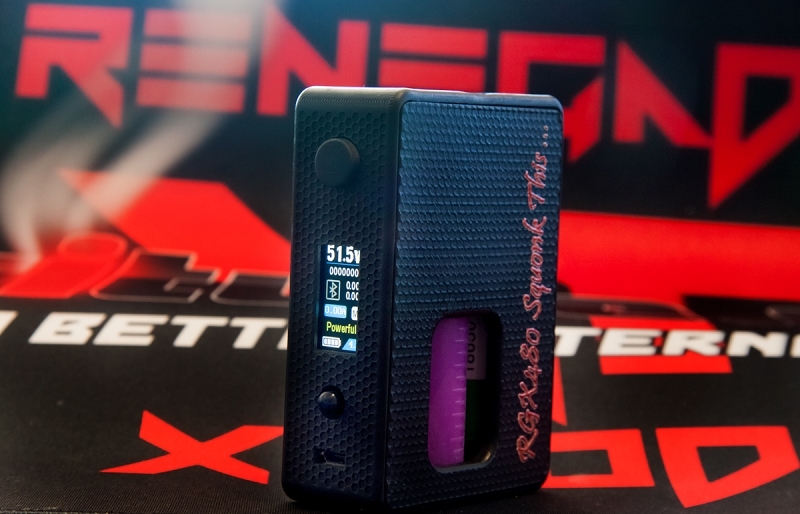 Large squonk window and comes with our silky soft bottle and of course utilizes our own VT510BF connector. You may request bottle color in the notes section of the order else it will ship with clear. Wood option coming soon. YiHi SX480BT Chip ...same as their new MX Class.75W, temp control as well. Big color screen. Blue Tooth control with phone App. Material is a resin based polymer that ends up with ABS like characteristics. Product goal is an affordable regulated squonk that looks decent, is durable, and performs great. @ $160 we feel we've met those design goals. New chip features color display, Bluetooth connectivity, and joystick control.
. Output Joule: 10J-75J. 212-572Â°F / 100-300Â°C.